$4 billion in boats to anchor at 55th annual Fort Lauderdale boat show. Golfers, Looking For a Bargain? Golf Trader has, probably, the largest selection of pre-enjoyed clubs in South Florida. With the volume of new clubs we sell, our Trade-In inventory is in a constant state of flux. You never know what gem you might find on our shelves. Looking for a particular club that is no longer available, give us a shot, we may have it on the shelf. Looking for a real bargain? Check out our Used Drivers collection. Many of our listings are never sold older models marked down to their lowest price point. I have been busy for the last two weeks adding inventory to these listings, many drivers prices as low as $75. By the end of the week I should have all of the Used and Closeout Drivers listed and will be moving on to the Fairway Woods. The Golf Trader Club Vault – you never know what treasures you might find. As a retailer of boat maintenance supplies, we receive a lot of requests to sample and carry new products. Often times these samples sit on a shelf for a while before we get around to them. Such is the case for Someone To Do It Cream Cleaner. We were provided with a full size bottle (32 ounces) for testing and review….and sat on it. I know now that this was a mistake. One day while cleaning the shower at home, I got tired of the Tilex / cleanser routine to clean each week, Tilex one week then cleanser the next…repeat. The fumes from the Tilex are killer on the lungs, especially in a closed bathroom setting, and you can only concentrate on the mildew or the soap scum because each takes its own cleaner and DO NOT mix these cleaners or it can kill you. 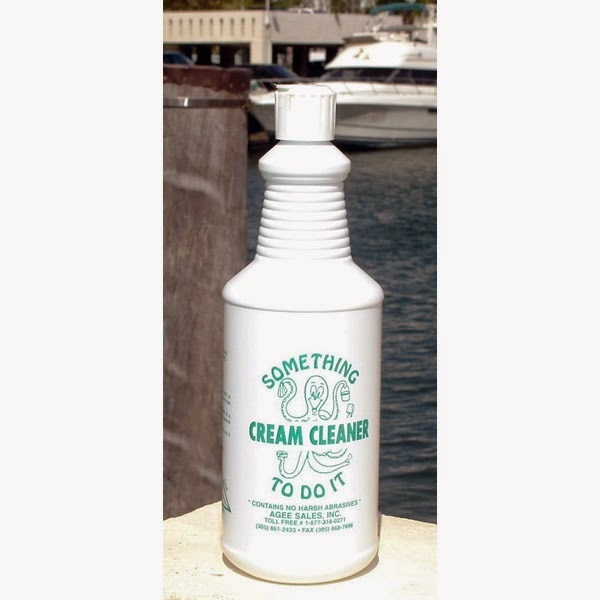 When looking at the shelf for an alternative, I saw the neglected bottle of Something To Do It (recently renamed to Someone To Do It Cream Cleaner), such a silly name, but what the heck, I gave it a try. I cannot tell you how impressed I was with the results! This was a gem. lost in the clutter of the cleaning cabinet. This stuff cut straight through the soap residue and my grout has never been whiter. Impressive but still not enough to invest in a no-name cleaner without a market, until…. A friend asked for my advice as my reputation for trying new and alternate ways of cleaning is well known in our circle. She has glass shower doors and no matter what she uses, cleaning them is a major pain and they don’t really come clean. I reluctantly pulled out my little secret bottle and told her to give it a whirl but not to use it all up and I wanted it back. At this point, I had no recollection of where the bottle came from or how to get more, I had to make my bottle last as long as possible. Wouldn’t you know it, the stuff worked for her too. In fact, she had never found anything that worked so well and so easily. This friend is a bit on the “Strong Personality” side and convinced me to search for the source of Something To Do It and get her some. This is exactly what I did, our first case is due to arrive today. Of course, Gayle gets the first two bottles as soon as I open it, this was a bit stronger that just a request. I didn’t even know what the stuff cost but she did not care. Now that I do know the cost, I am amazed that it isn’t more, but I am not going to tell the manufacturer that, Only $12/quart. Knowing what other marine cleaners cost, this will soon become one of my affordable go-to’s, I can’t wait to try it around the kitchen. Something To Do It, a funny little name, actually describes this stuff pretty well. * Florida deliveries subject to Florida State Sales Tax. Price with shipping is good for the Continental United States only. 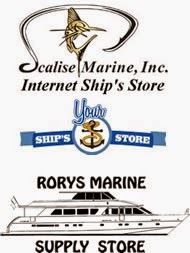 Scalise Marine – Internet Ship’s Store, already a very successful brand, now has two little sisters, Your Ship’s Store and Rorys Marine Supply. Each store is much the same as the last with about 10% being different from its siblings. All feature our staple brands, the IMAR Yacht Detailing Line, Mer-Maids Products, Fend-ALL fenders,HyPower shore power pedestals, Fasnap Snaps and other Marine Fasteners, Strataglass, C&M Marine Products, and a few others. Your Ship’s Store was developed as a twin for Scalise Marine only with different ownership to make it a Veteran Owned Small Businessentity. Rorys Marine is more focused on the do-it-youself’er who likes to do their own projects. There you will find a larger selection of fabrics and vinyls. It does not matter which company you deal with, you will be dealing with the same attentive and courteous staff who’s aim it is to meet and exceed your expectations and help you with any concerns you may have. One of my many projects is a website for Golf Trader, the best Golf store in south Florida. Golf Trader Online (GolfTraderOnline.com) features a huge room full of used and close-out clubs including used drivers, used fairway woods, used hybrids, used irons sets, used wedges and used putters. The staff at Golf Trader has affectionately named this room The Club Vault, their selection is incredible. Golf Trader has been servicing the South Florida golfing community since 1991 from the same location and ownership. The staff is second to none and ensure every purchase is the right fit. They have an onsite hitting booth with computer analysis for club matching and lessons. There is also an indoor putting green so you can try any club(s) before purchase. Of course Golf Trader carrys new clubs and equipment, also, with the latest models of the most popular clubs always available. Golf Trader is the largest retailer in South Florida for the following manufacturers: Adams Golf / Callaway Golf / Cleveland Golf / Cobra Golf / Mizuno / Nike Golf / Ping / Taylor Made Golf / Titleist. With so much to offer, it’s good to know that Golf Trader also specializes in trade-ins, which makes it easy and convenient to upgrade your current set to the latest and greatest clubs on the market. Golf Trader is conveniently located on McNab Rd, between Pine Island and University, in Tamarac, FL. Give them a call at (954) 720-8290, tell them Randy sent you.